The HK VP9 Tactical & P30, P30L Tactical 9mm - Micro Comp - 1/2 X 28 is in stock and ready to ship! 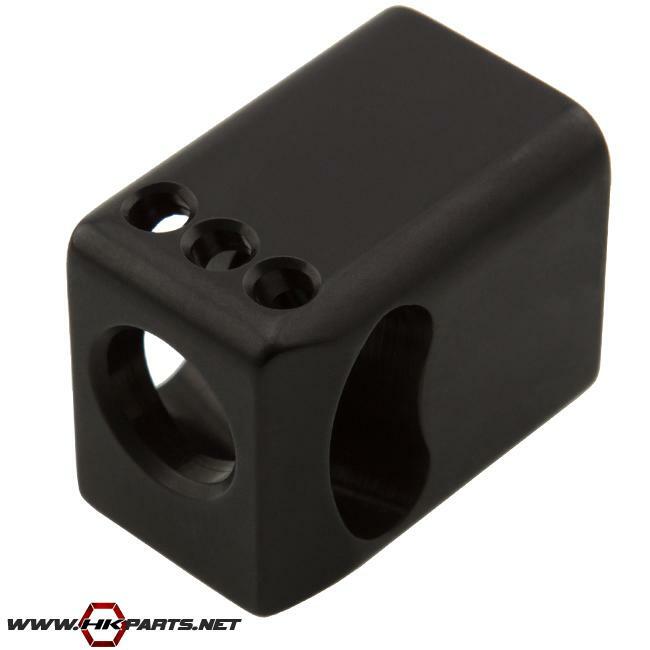 This micro comp adds less than 1/2 of an inch to the overall length and will diminish recoil to nearly nothing and reduce most of the muzzle climb. This is the most effective pistol comp ever made for the HK series of firearms. We also will be offering another micro comp--the VP9, P30, & P30L tactical 9mm 13.5 X 1 Metric. Be sure to sign up on the "Notify Me" list to receive an email when it's in stock by following the link below. Thanks for looking! Click here to visit our website to view more HK parts and accessories.